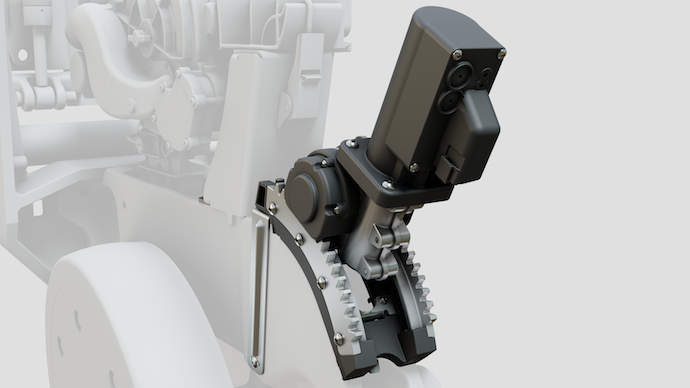 Several precision tools for planters were released this week during Precision Planting’s 2019 Winter Conference promising no-tillers more flexibility to make adjustments to row units on the go when planting. 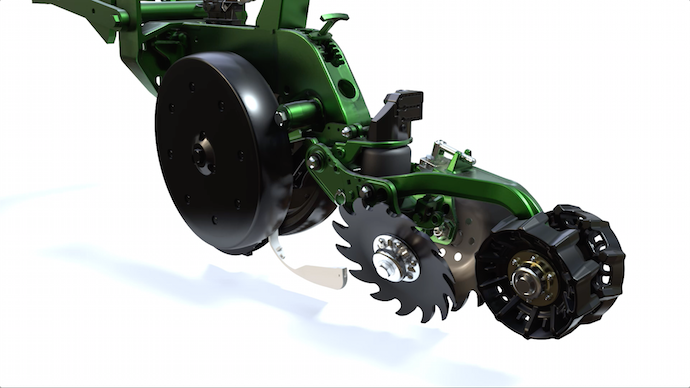 The Tremont, Ill.-based company released beta versions of the FurrowForce closing-wheel system, SmartDepth adjustable row-unit technology for 2019, along with the 20/20 Connect app for mobile devices. FurrowForce and SmartDepth are beta products and will be available to a limited amount of growers this. year, with full commercial availability to occur at a later time. The announcements were made during the 2019 Winter Conference held at the company’s headquarters and simulcast to audiences in seven other locations. The new technology is a culmination of several years of research and testing in various parts of the U.S., says Justin Kauffman, general manager of Precision Planting. Six year ago the company built a planter with different manufacturer row unit and closing-wheel systems and tested performance of the new technologies on farmland in the Delta region, Corn Belt, the Dakotas and Red River Valley. Kauffman notes growers don’t have a lot of visibility from the cab to monitor some tasks like furrow-closing performance and that creates struggles in getting the best stands and emergence. The FurrowForce closing system, which utilizes a sensor that measures down force on the closing wheels and relays feedback to the 20/20 SeedSense monitor in the cab — letting farmers make adjustments to the down pressure in the cab. FurrowForce uses two stages to both close the furrow and manage soil density. First-stage pinch wheels are set wider than traditional systems and move soil horizontally to remove air gaps. The following second-stage stitch wheels create the proper soil density for moisture retention and quicker germination, the company says. The stitch wheels have a load cell which measures the weight carried on them: when there’s weight on the stitch wheels, it ensures that the first stage pinch wheels are cutting into the soil at the proper depth. A control valve on each row pairs with the load cell to change the force applied to FurrowForce to maintain consistent soil firming across the planter and in changing environments in the field, with sub-second response time. “There can be a lot of variability within in a field but also in the course of a planting season, so the airbag system can take the reading from the sensor and automatically adjust down pressure so the right amount of force is being used to close the trench,” Kauffman says. Precision Planting is also releasing SmartDepth — an electric motor that replaces the manual depth adjustment of row units. From the cab, with information relayed to the 20/20 monitor, growers can adjust planting depth and calibrate depth across the planter. “Depth is something we’ve done a lot of research on,” Kauffman adds. “Within the industry we talk about how critical moisture, temperature and depth is to get better germination and emergence. Growers can take full advantage of this on-the-go technology, he adds, if they’re using the SmartFirmer, an advanced version of the Keeton seed firmer that provides real-time moisture and temperature readings. 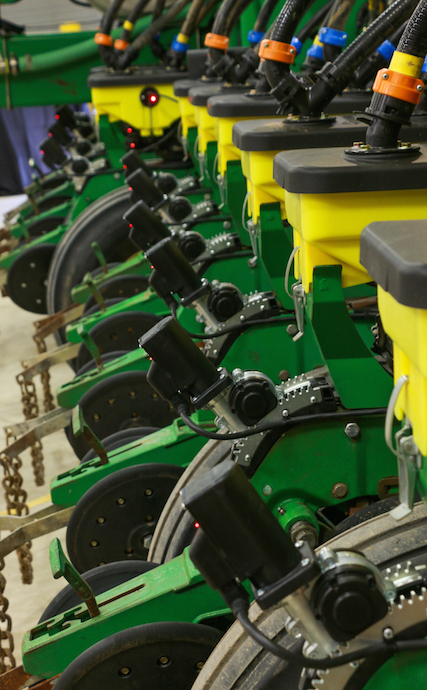 When SmartDepth is paired with SmartFirmer, moisture-based control of seeding depth can occur. 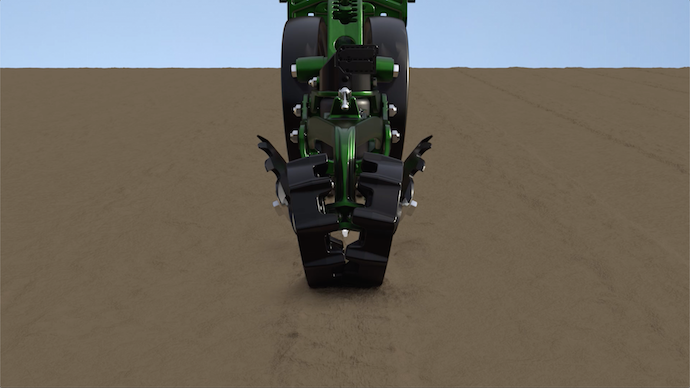 The planter operator can make inputs in the cab, on the 20/20 display of a minimum depth and maximum depth, as well as a moisture target, and the planter will automatically adjust the depth it is planting between the minimum and the maximum depth while maintaining the soil moisture target. “Adjusting where seeds are placed based on moisture provides confidence that the planter is doing the best job it can,” the company says. 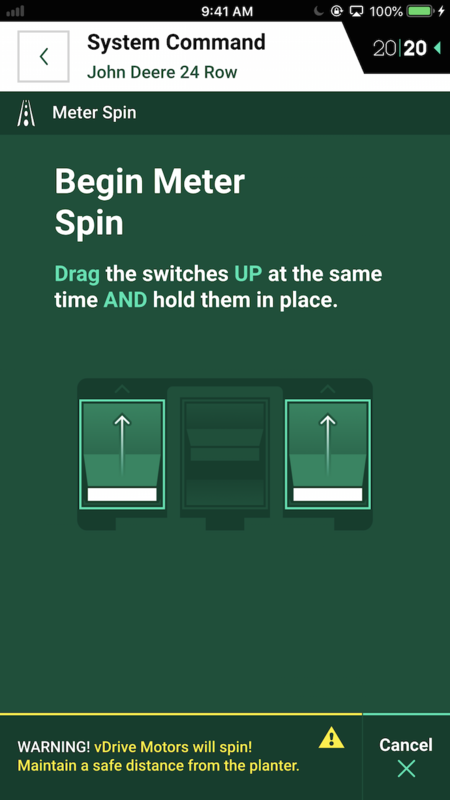 Some updates are also being released for the third generation of Precision Planting’s 20/20 monitor with the release of 20/20 Connect — a mobile app that gives growers the ability to perform more frequently used functions from a mobile device, such as a smart phone or tablet. “Growers can do checks on the planting system to make sure everything is set up and calibrated correctly, and be able to check diagnostics and get diagnostic readings to make sure system is working correctly,” Kauffman says. Another update will allow the 20/20 monitor to be paired with a Wi-Fi- compatible device to create a mobile hotspot, “which means software updates can be done in the field without a USB stick,” he adds. Precision Planting also announced a beta function for the SmartFirmer, available this spring, that will let growers to measure cation exchange capacity (CEC) in addition to the soil organic matter, moisture and temperature data they’re already seeing. Kauffman says the company added this option in response to seeing many farmers tapping into CEC data as a way to make better fertilizing and planting decisions in their fields.